Decluttering your home is a great way to get your house organized and clear out items you no longer need. But many homeowners wonder what to do with all that extra stuff after they are finished decluttering. There are several ways you can get rid of your stuff, from donating it to a local charity to simply throwing it all away. Another great option for getting rid of your stuff is to sell it. I find this to be one of the best ways to make a little extra money each month, and not only are you getting spare cash – you’re also cleaning and decluttering your house all at the same time. After decluttering your home, check out these five sites where you can make money by selling your extra stuff. This online auction site is probably the most popular way to sell your stuff online. There are two different ways you can sell items on eBay – as an auction or “buy it now” listing. With an auction listing, you typically set a starting price and allow users to bid on your items. Alternatively, you can set a price for each item using the “buy it now” option. Either way, your listings are featured on the site for a determined amount of time and if they don’t sell, you can relist them. Listing your items on eBay is free for up to 50 listings per month and 30 cents per listing after the first 50. If your item sells, you’ll then pay a fee of 10 percent of the final selling price. There are also options to upgrade your listings for an additional charge, which will make your listings more visible to potential buyers. We all love shopping on Amazon, but did you know you can sell your stuff on Amazon, too? If you have unopened items taking up space in your home, consider selling them on Amazon to make a little extra money. In addition to allowing you to make money, selling on Amazon is a great way to quickly get rid of items you don’t want. That’s because Amazon stores the items you’re selling in their warehouse. Simply list the items on the site, then send everything to Amazon for storage until your stuff sells. While selling on Amazon is pretty simple, there are a few things to keep in mind. First, Amazon charges 99 cents per sale, in addition to a referral fee. This fee is a percentage of the sale price and typically ranges between 8 and 20 percent. If you would prefer to keep your sales local to avoid shipping costs, Facebook Marketplace is a great option. In addition to avoiding shipping charges, listing your extra stuff on Facebook also allows you to avoid listing and sales fees. When listing items for sale on Facebook, you can sell your stuff through the Marketplace or on local sales sites. To find local sales sites in your area, search Facebook for your hometown along with the words swap, sales, or marketplace. Listing items on Facebook will require you to meet up with buyers at a designated location to exchange money for the item listed. When scheduling your meeting, be sure to pick a location that is public and try to make your meet-up during daylight hours. If you have a lot of gently used clothing and shoes, Poshmark is a great option. To list your items on Poshmark, simply take a photo of the piece of clothing, accessory, or shoes and upload it to your online closet. Then, you can share your listing with your social network. If your item sells, Poshmark will provide you with a prepaid shipping label. You just need to package your item and send it to the buyer. Poshmark has a pretty simple fee structure for its sales. Any clothing item that is sold for under $15 is charged a fee of $2.95. Anything over $15 is charged a 20 percent fee after the sale is made. This online classified listing is another great place to sell your extra stuff. Similar to Facebook Marketplace, Craigslist is perfect for sellers who want to list their stuff online but don’t want to deal with shipping their items after they’ve sold. While Facebook is great for selling smaller items, Craigslist works best for selling your larger stuff. In addition to listing larger items, like furniture, you should also consider selling big-ticket items like antiques and electronics on Craigslist. This online listing site doesn’t charge you fees, making it a great budget-friendly option. And instead of shipping the items when they’re sold, you simply meet up with the interested buyer to get your money and give them the item they purchased. Staying safe when making the exchange is an important factor to consider when selling on Craigslist. To ensure your exchange is as safe as possible, schedule your meet-up at a public space during the day. Your local shopping center or police station parking lot are both great options for meeting with online buyers. 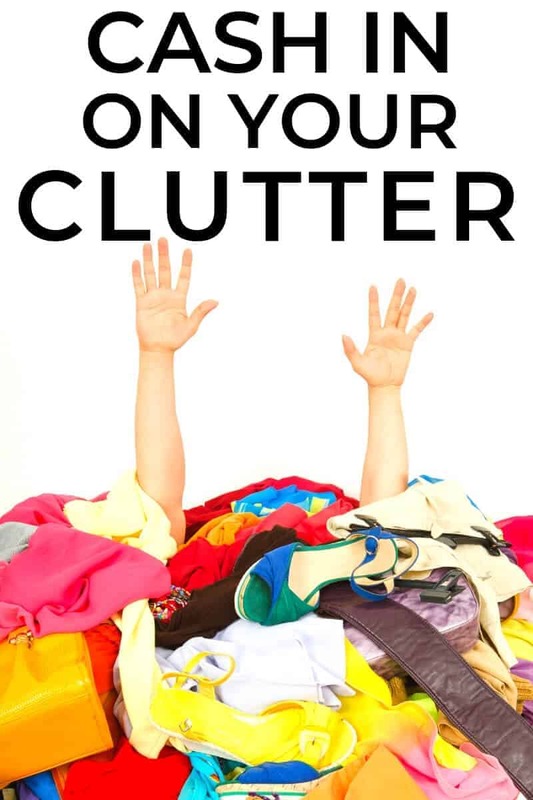 If decluttering your house is something you have a hard time doing, perhaps the realization that you could potentially be making money from your clutter should give you just the motivation you need. Some steps to make letting go of things in your home a little bit easier. 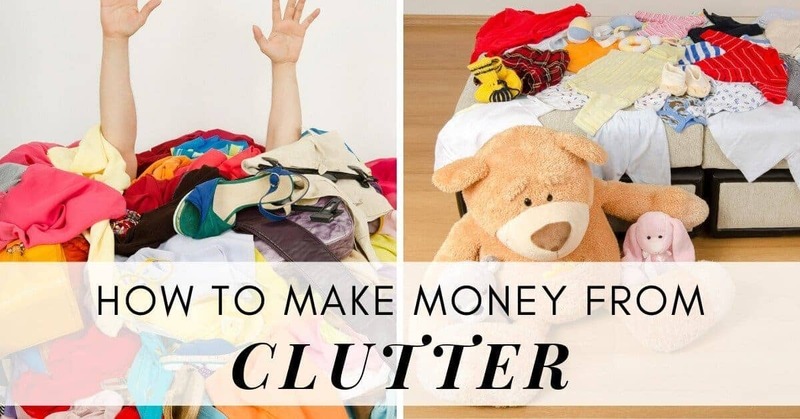 Excellent tips on how to make money from your clutter. I have tried to seel some of my clutter on local Facebook pages, but have had little to no success. I never thought about using Ebay or Amazon to get rid of it and turn a bit of a profit. I’ll have to give that a try. I’ve had a little success on Facebook Marketplace, with some of my son’s old toys. EBay is good for selling clothes, and books I would try EBay first as the Amazon secon hand prices can be quite low, although I have had varying success.